I have been very lucky to work and train in many rescue shelters all over the world. As part of my continuous research and development, I thought I would dedicate a page to the work that is being done in the rescue shelters I am associated with. The idea for the page is to provide valuable information and share ideas for the promotion of training a dog for it's new life, both in the shelter and with their new owner, based on research and ingenuity. I will be posting information throughout the next year or so, developing the page organically to form a "HOTSPOT" of ideas to provide food for thought. I thought it was time to introduce my study that I did for my dissertation/thesis while I was at university. This was close to my heart, as I (as well as many other experts) already knew the importance of a retrieve, yet there was no scientific evidence to back this up…until now!!! 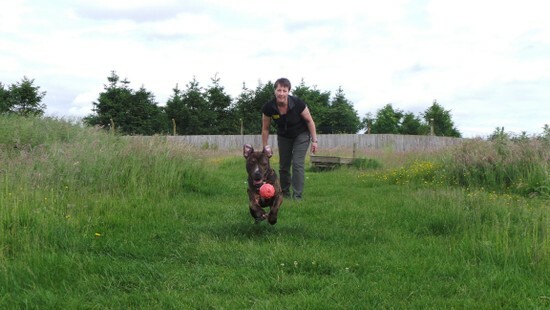 Shelters have successfully utilised a variety of forms of training dogs under their care ready for successful adoption and continue to investigate different methods to enhance their success. However, gundog training and in particular retrieving, which is considered an ideal form of interspecific play (Rooney et al. 2000) is rarely used as a foundation for training shelter dogs. 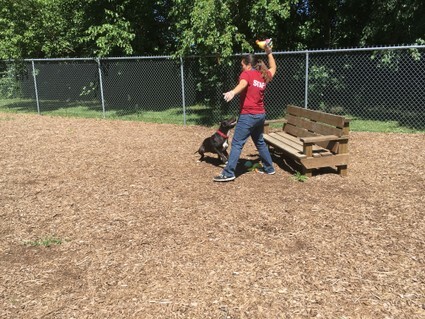 My study investigates the methodology of training a dog to retrieve and its potential compatibility with shelter training by comparing the retrieve with a number of alternative training methods currently used by shelters both here in the UK and America. Two dogs of similar age, breed etc. were chosen by shelter staff, one trained just to retrieve a thrown item and the other trained using any positively reinforced method available to the shelter in a multi-centre, international study. Shelter compatibility was divided in to three hypotheses, 1- Successful adoption rates, 2 - Trainability and 3 - Welfare compliant. The results showed there was no significant difference in training a dog to retrieve and alternative training methods for all three hypotheses, leading to the conclusion that a retrieve could be added to the existing number of training methods utilised by shelters to prepare a dog for successful adoption. How Can This Be Utilised When You Adopt A Dog? Training your dog to retrieve will reduce anxiety, release endorphins and keep your dog closer to you on off lead walks, not to mention building a non-competitive game between you both to enjoy wherever you are. Some dogs will naturally play a retrieving game, but don’t be fooled by the breed, as I have trained everything from a Chinese Crested to a Great Dane to retrieve and its all about having fun. For those dogs that don’t like to play with toys try using a suitable clear container full of treats or a suitable pouch toy with a zip and encourage your dog to pick it up and bring it to you to open and share the contents. But remember, when your dog comes to you, make sure you follow the golden rule of retrieving “Dog first…. then toy” so give your dog loads of affection first, before taking the toy from them, this way they will be happy to share anything with you in the future. Some research into kennel welfare and prevention of unwanted behaviour concentrated on calming the dog while in a kennelled environment, allowing for easier management and encouraging a more relaxed behavioural repertoire deemed desirable to some future adopters. The playing of classical music, for example has been found to evoke calmer behaviour in kennelled dogs and increase resting time (Wells et al. 2002b). However, the latest research by Bowman et al. (2017) suggests that dogs may rapidly habituate to the same style of music. The study found that stress rates in kennelled dogs reduced when particular genres of music were played to kennelled dogs, with Reggae and Soft Rock producing the best results. 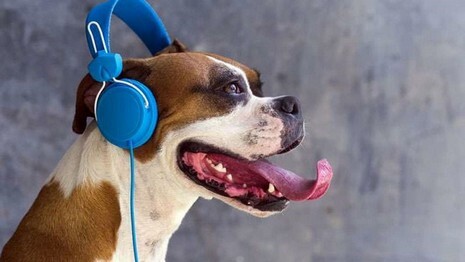 The study concluded that different dogs have different music preferences and also suggested that a variety of music genres may help to minimise habituation to auditory enrichment. Brayley & Montrose (2016) argues that the use of audiobooks when compared to several music genres produced significant decrease in stress in kennelled dogs, increasing resting behaviour and decreasing sitting and standing behaviour. Interestingly, the studies produced a correlation with regard to potential adoptees positive perception of the shelter leading to an increase in the desire to adopt. This could possibly be due to the combination of dogs displaying calmer behaviour in the kennel and the influence music has on the human psyche (Dingle et al. 2015, Gagarina and Pikturniene, 2015). According to the above research when you are leaving your dog (for short periods of time to start) investigate what music has a calming affect on the dog, may I suggest that you also experiment with the volume of the music as some dogs, similar to humans have a preference. Don’t rule out those radio stations that just talk and finally look at what you like to listen to, as the chances are this will have a calming influence on your dog too.